I’ve been thinking about writing this post for long, and it’s being in my drafts as an unpublished entry for some days now, it’s not an easy thing to explain exactly how I feel about this. This would not be the first link network targeted by Google. Google has penalized link networks several times over the years, most recently the BuildMyRank.com link network. But after reading what Seoroundtable published about www.sape.ru and other entries about similar networks I though about writing my opinion about it. Matt Cutts @mattcutts @dannysullivan @seocom just another day at the office for me. :) Okay, gotta look at some really naughty Russian link selling software now. Why there are caring about this specially in country where they have 30% of the market search ? They know this for so long but suddenly they decide to take action ? I’m really surprised that professional SEO’s are still using this kind of get link marketplaces. There are valid ways to get links in an organic way to avoid doing something stupid like this that can damage your client reputation and your professionalism as SEO. And another though that came to me after this is that Google used to be a search engine which nows looks as a giant advertising marquee of their own advertising and products. 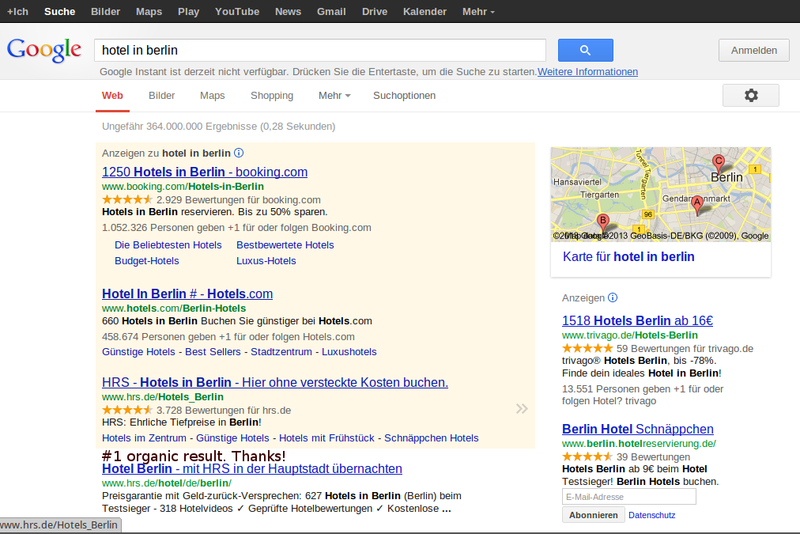 Try to search for “Hotel in Berlin” or any popular service and you will see it for yourself. Thanks! 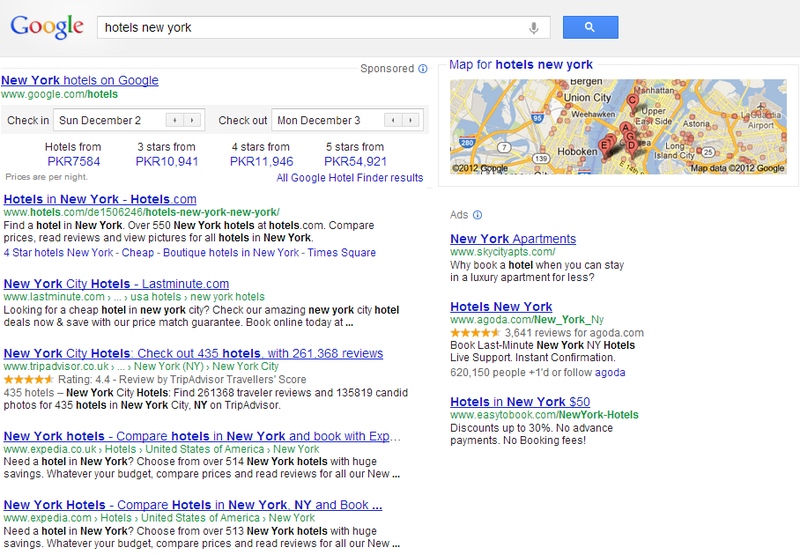 At least after the Google hotels finder we could see some natural results. So what I don’t get is the double message of fighting so much to keep their search ranking clean but at the same time they put all their advertising marquee in front of your face almost stopping all of us to see organic results. Why are the organic results so important if you have to scroll to see them in the first place ? Thanks for the link, Fasani! The organic results problem (almost all the dixplay is filled with map results or adwords) is a big one. Google don’t seem to care at the moment as the situation gets worse. As for the Sape link issue – I think it’s just a big nonsense. Google knows about Sape for years now. Over 90% of all the Russian sites buy links from Sape.ru. Time will show, but my opinion is that all this is Google throwing some dust in webmasters’ and SEOs’ eyes. While I think and I agree with you those page are looking over populated with ads and organic results are pushed Way to the bottom, here’s how they probably justified, and why does look like that on 2013. – ” Here at google we are trying to get you the best results at every search. What we have learned with certain queries related to hotels, is that you are probably looking for an hotel in berlin to book; that is, you are not interested in the average description, picture, or definition of the term ‘hotel in berlin’: You are looking for a product, a product that is closely tied to a location. 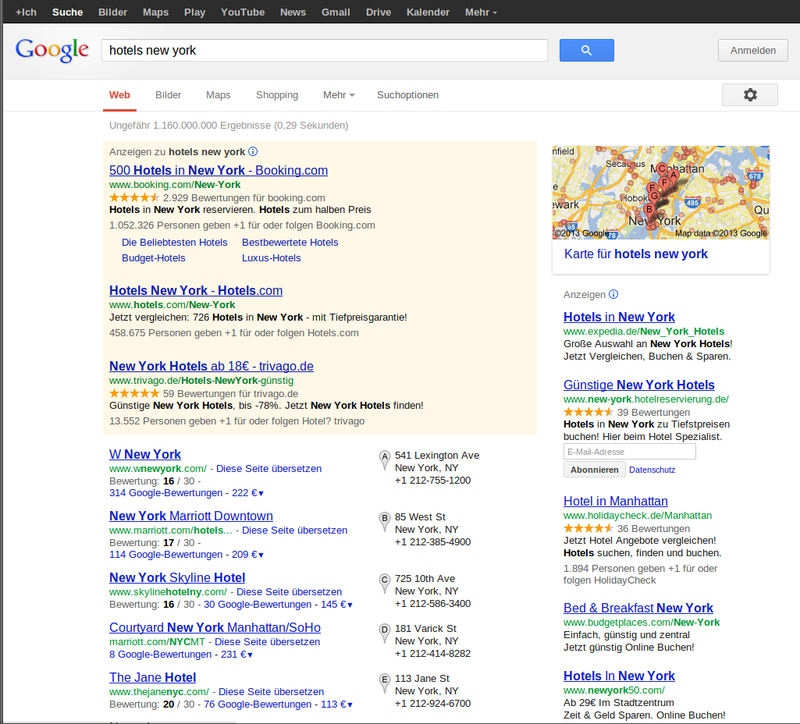 That’s why you are not getting a normal SERP. We know users will appreciate a map with all the results. we just load this nifty view on top of everything, featuring a tool that will likely help you out finding your hotel. there may be some organic results at the bottom, but they may be beyond the fold, since we think they are not so important as the map placemarks. We’d like map placemarks view to take the whole screen. Think of it as an special view of it. Necessary note: This is not a real Matt Cutts answer. And it stayed with us! What’s coming in the next episode: Organic results in page #2. Maybe we could make a video of a fake Matt saying what Waldo suggested. I’m sure that if it’s done well may get in first page afer a “Matt Cutts” search.